The Clarity ALTO has many exciting features for users of all types. 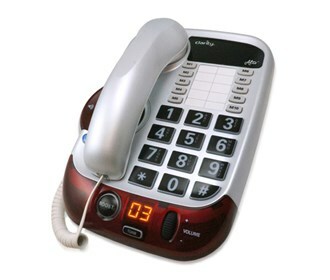 It's one of FactoryOutletStore's best selling Severe Hearing Loss Corded Phones 50-60 dB . You can extend the lifetime of your Clarity ALTO with the purchase of a FactoryOutletStore Factory Protection Plan. See the Clarity ALTO gallery images above for more product views. 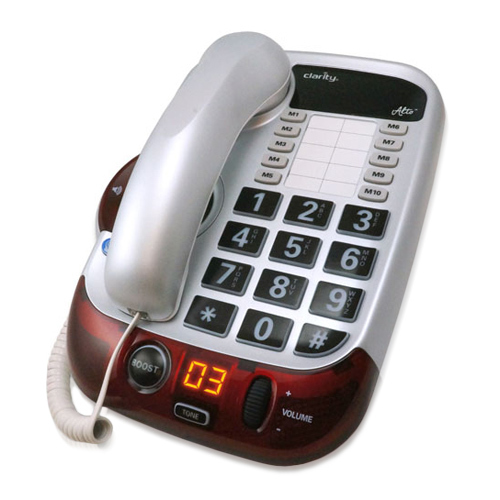 FactoryOutletStore stocks a full line of accessories like AblePhone AP-5000, AblePhone AP-6000, and Amplified Ringer for the Clarity ALTO. The Clarity ALTO is sold as a Brand New Unopened Item. IT WOULD HAVE BEEN NICE TO HAVE A MESSAGE RECORDER, BUT I'LL USE MY COX CABLE VOICE MAIL, I'M 63 YEARS OLD AND HAVE MY OLDEST SON SET IT UP FOR ME, OTHER THAN THAT THE PHONE IS GREAT, THANK YOU SO MUCH. This is the best phone in the world. I have it a couple of weeks and I can adjust everything to my personal needs. I love it.